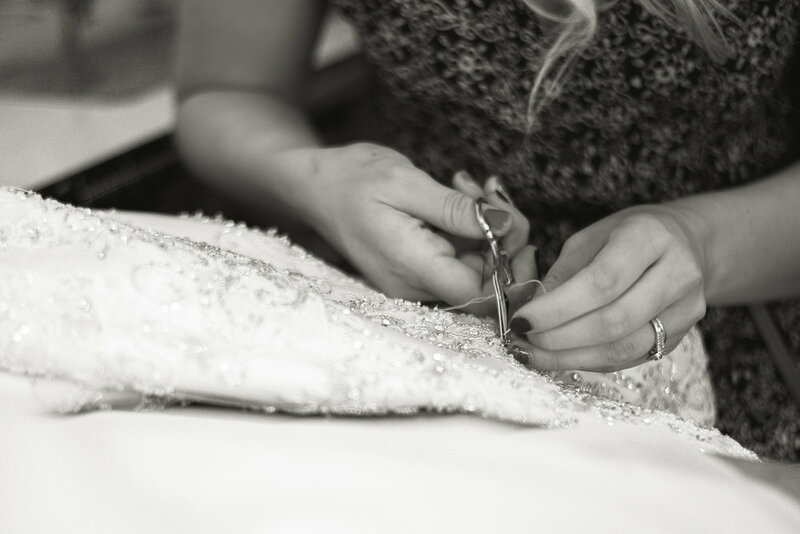 Bridal alterations to your wedding dress to make if fit perfectly for your big day. Occasion Wear alterations for example Mother of the Bride, Ball gowns. Remodeling of a wedding dress to give it a new unique look. Bespoke dressmaking a made to measure service to create your dream dress that is individual to you. Full preparation of your dress ready for the big day. Your dress will be steamed and packed up ready for you to take away. Quick turn around service available, this service may be subject to a 20% surcharge. Repairs to your dress after the big day. We can offer advice for specialist cleaning for you dress.